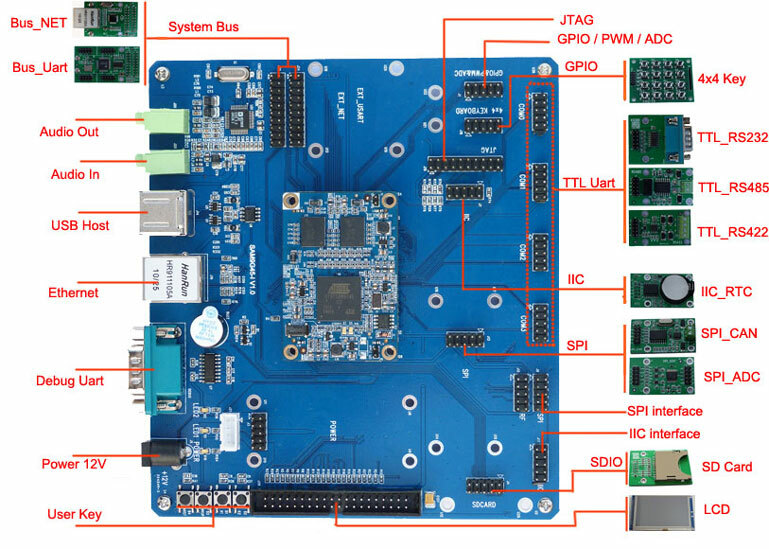 The SBC-SAM9G45 Single Board Computer is a high-performance controller board introduced by CoreWind. It is designed based on the CM-SAM9G45 processor card which integrates an AT91SAM9G45 microcontroller, 128MByte DDR2 SDRAM, 256MByte Nand Flash, 4MB Dataflash, 2Kbit EEPROM, UART, Ethernet, USB HOST, LCD, Touch screen, RTC on board. It is connected with SBC-SAM9G45 expansion board through 200pin B-T-B expansion interfaces. CoreWind also offers a complete software development package to customers. The board supports linux 2.6.30 operating system and is provided with complete basic drivers which enable a quick channel to evaluate the Atmel AT91SAM9G45 processor and customize application software. It would be an ideal development platform for multimedia and communication applications. 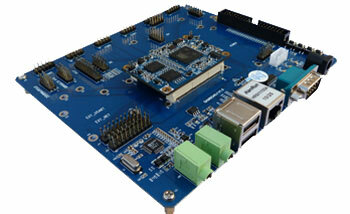 CoreWind also offers customer design service based on the SBC-SAM9G45 board according to customer’s requirement. Whether you need to reduce, add or modify to existing hardware, CoreWind will help customers with expert competence and rich experience.